I’m not entirely sure from where I took this picture, I think either from the RSPB bird hide or the viewing platform at Gruinart. 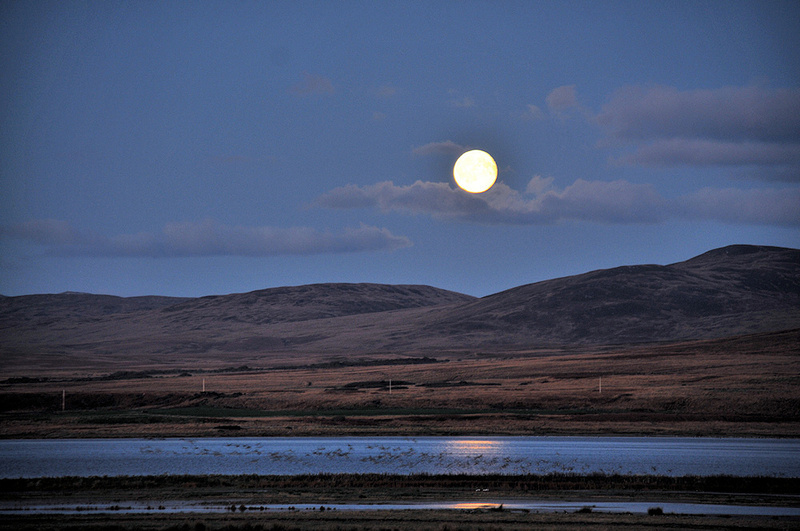 The view is north east over the flats and Loch Gruinart with the Moon rising over the hills. Barnacle Geese lifting off at the loch. This entry was posted in Cloudy Weather, Landscape, Night, Repost, Sea Loch, Sunny Weather, Wildlife and tagged Barnacle Geese, Gruinart, Islay, Loch Gruinart, Moon by Armin Grewe. Bookmark the permalink.